[S502] Index - Victoria BDMs online, at https://online.justice.vic.gov.au/bdm/indexsearch.doj, Birth Reg. No. 5561/1880, dau of William Robert EASDOWN and Catherine Esther FORWOOD. [S537] Newspaper - Brisbane Courier / Courier Mail, issue of 6 Sep 1909, Vol LXVI, no. 16116, p4, Marriages. [S493] Macquarie Park Cemetery database, at http://www.maccem.com.au, Church of England, Section T4, position 73. [S753] Australian BDM Indexes 1788-1950, at http://www.ancestry.com/, NSW Deaths, Reg. No. 17784. [S926] BDM NSW Registry, birth record, Reg. No. 259/1914. [S917] GRO Scotland, marriage record, District of Forres, Statutory Marriages, GRO 137/00 0013. 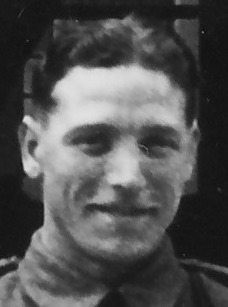 Owen George EBBETT was born in Hastings, Hawkes Bay, on 16 April 1916. He was widowed at age 70 on the death of his wife Maxwell on 24 May 1986. Owen died on 7 January 1988 in New Zealand at age 71. [S443] CD - NZ Marriages, CD - NZ Marriages 1836-1956 V2, NZ Registrar General's Folio 162. [S502] Index - Victoria BDMs online, at https://online.justice.vic.gov.au/bdm/indexsearch.doj, Marriage Reg. No. 2707. [S581] London Metropolitan Archives, at http://www.ancestry.co.uk, Bermondsey St Mary Magdalene, Register of Baptism, p71/mmg, Item 015, son of William and Ellen ECROYD. [S117] Census - 6 Jun 1841, UK census, ED 19 HO107-1065 Folio 7 p7 GSU roll 474668. [S502] Index - Victoria BDMs online, at https://online.justice.vic.gov.au/bdm/indexsearch.doj, Marriage Reg. No. 2707/1855. [S768] Victoria Assisted and Unassisted Passenger lists 1839-1923, at http://www.ancestry.com/, PROV, VPRS 7666, Inward Overseas Passenger Lists (British Ports), Microfiche Copy of VPRS 947. Ages quoted are suspect in this entry. [S761] Newspaper - The Argus, issue of 15 Nov 1880, no. 10736, p1, Deaths. [S502] Index - Victoria BDMs online, at https://online.justice.vic.gov.au/bdm/indexsearch.doj, Death Reg. No. 11476/1880, aged 52, spouse name FORSAITH, mis-indexed as GERVYD(!). [S1012] St Kilda Cemetery database, at http://stk.smct.org.au, Church of England section, Compartment A, grave 349. [S938] National Archives - British India Office Records, Parish register transcripts from the Presidency of Bombay, 1709-1948, ref N-3-102, folio 271, entry 74. [S938] National Archives - British India Office Records, Parish register transcripts from the Presidency of Bombay, 1709-1948, ref N-3-38, folio 5. [S190] Index - GRO and Office of National Statistics, England & Wales Civil Registration Qtrly Indexes, Death: District of Cranbrook, Vol 2a, p1342, eQ1937, aged 73. [S677] Index - England High Court of Justice, England & Wales National Probate Calendar, probate granted in London to Emma Polglase Edwardes, widow. [S190] Index - GRO and Office of National Statistics, England & Wales Civil Registration Qtrly Indexes, Marriage: District of Hendon, Vol 3a, p328, 2Q1893. [S178] Census - 5 Apr 1891, UK census, ED 29 RG12-590 Folio 46 p11 GSU Roll 6095700. [S190] Index - GRO and Office of National Statistics, England & Wales Civil Registration Qtrly Indexes, Death: District of Willesden, Vol 3a, p274, aged 71. [S677] Index - England High Court of Justice, England & Wales National Probate Calendar, probate granted in London to Ann Elizabeth BARNARD widow. [S190] Index - GRO and Office of National Statistics, England & Wales Civil Registration Qtrly Indexes, Death: District of Willesden, Vol 5f, p187, 3Q1946, aged 93. [S612] GRO Scotland, birth/bapt record, District of St Rollox, Statutory Births, GRO 644/08 0033, sighted Apr 2009. [S915] GRO England & Wales, marriage record, District of Crewe, Vol 8a, p1051. [S545] GRO Scotland, sighted record, District 644-06, entry #141. [S918] GRO Scotland, death record, District of Kilmarnock, Statutory Deaths, GRO 597/00 0450, aged 48. [S545] GRO Scotland, sighted record, District 663 (Beath & Dalry), entry no. 200. [S612] GRO Scotland, birth/bapt record, District of Milton, Statutory Births, GRO 644/08 0266. [S917] GRO Scotland, marriage record, District of Anderston, Statutory Marriages, GRO 644/10 0413. [S918] GRO Scotland, death record, District of Dennistoun, Statutory Deaths, GRO 644/04 0946, aged 43. [S612] GRO Scotland, birth/bapt record, District of Dennistoun, Statutory Births, GRO 644/03 3271. [S612] GRO Scotland, birth/bapt record, District of Garngadhill, Statutory Births, GRO 644/05 0390. [S917] GRO Scotland, marriage record, District of Townhead, Statutory Marriages, GRO 644/06 0004. [S918] GRO Scotland, death record, District of Townhead, Statutory Deaths, GRO 644/06 1409, aged 65. [S918] GRO Scotland, death record, District of Provan, Statutory Deaths, GRO 644/04 0332, aged 41. [S918] GRO Scotland, death record, District of Miltown, Statutory Deaths, GRO 644/05 0932. [S679] Email - Irene (Pat) Godfrey, email to D Ferguson, July 2010 onwards.